Workers were potentially exposed to dangerous asbestos fibres and given only baby wipes and a cold water hose for decontamination. LJW Cladding Ltd was working at a farm building in Waltham, Essex last year, where it removed asbestos insulation board without a licence. It also failed to protect its workers falling from heights of up to four metres. 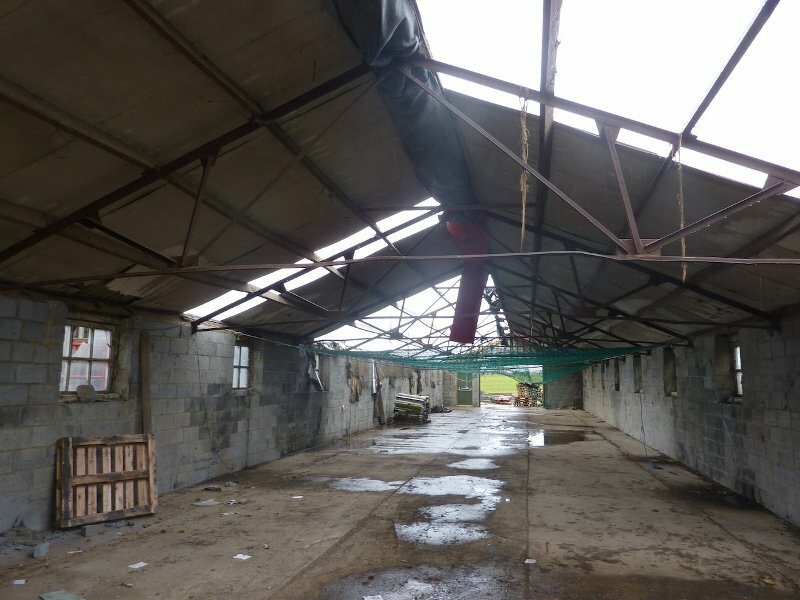 Chelmsford magistrates heard the Health & Safety Executive (HSE) was alerted by a member of the public concerned that unsafe work was being undertaken at the farm building (pictured below). HSE’s investigation found that LJW Cladding Ltd had no licence to remove asbestos, despite telling the farm owner it did. None of the workers were trained to work with licensed asbestos and were also placed in danger of falling from height while removing the fragile asbestos boards. HSE found that the work, carried out between 26th and 28th February 2014, was totally lacking in safety measures. Asbestos insulating boards were broken from their fixings with inadequate attempts to prevent the uncontrolled release of fibres. There was no use of an enclosure and the respiratory protective equipment provided to workers offered insufficient protection. Instead of a full three-stage decontamination unit required for such work, all the workers had were baby wipes and the farm’s cold water hose. Contaminated overalls over normal clothing continued to be worn while the workers ate their lunch on site. The investigation also identified a lack of fall prevention or protection measures. Do it right, Do it safely! I read today in Construction News a report from the Health & Safety Executive about a serious working at height accident in Plymouth. It never ceases to worry me that every week there seems to be a report about this type of accident. When will it stop? Working at height should be one of the most simplest of tasks to adhere to the basic safety requirements laid down by the Working at Height Regulations 2005, and yet week after week, there are these needless accidents. In the case mentioned above, the current costs stand at £25,627 and that’s just the court fees. The correct edge protection, Personal Protection Equipment and training would have been insignificant to these cost’s. And it’s not just the fines; the ongoing litigation, financial losses, the physical and psychological impact will ripple out to the victims family and the future of the business as well. It just isn’t worth it, please do the right thing by your business and personnel. Use the right equipment, wear the correct PPE and ensure all staff are properly trained!